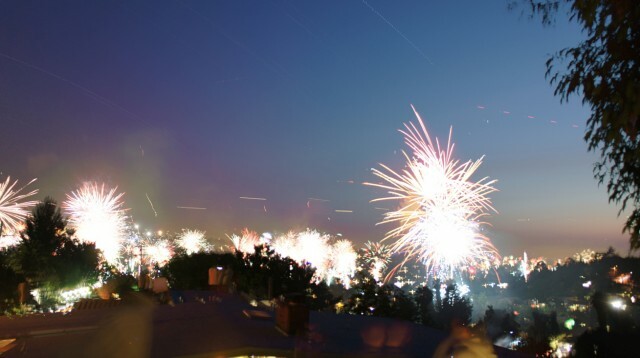 I took a few hundred timelapse pictures of 4th of July fireworks from my rooftop in Highland Park, Los Angeles over the course of three hours. Instead of immediately making a video I decided to experiment with image compositing using RMagick (Ruby bindings to ImageMagick). Blenderrr is a script that uses RMagick with the Lighten blending operation to batch-process images found in a folder into a single composite image. It has command line options to control how many images are processed, including skipping every N images to reduce the amount of input to the composite. It can also make gifs! Both by accumulating each frame, and a more traditional timelapse.